In life, success can be determined in two ways: A long list of accolades that cement your reputation in history for everyone in the world to see, or a candid and modest understanding of what you’ve done that makes everything you’ve accomplished feel even more genuine and real. 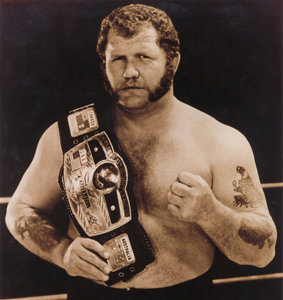 For over 40 years, Race has been a fixture in wrestling history, winning an unprecedented eight NWA world heavyweight titles during his 29-year wrestling career. After Race retired as an active wrestler, he went on to manage both Lex Luger and Big Van Vader to WCW world heavyweight titles, and has been involved in the promoting aspect of the business since as early as 1972. Simply put, Race is a legend in his own time. His smash mouth, tough-as-nails style has paved the way for hundreds of other wrestlers all over the world. “If I could do it all over again, I’d love to do it,” said Race, via telephone in Kansas City. While many wrestling fans know of the tough travel conditions that many wrestlers face, none know of the conditions in which Race defended the NWA world heavyweight title under. Often wrestling five days a week, Race defended his title against anyone, anywhere, anytime. Aside from being nationally known throughout his wrestling career, Race is also known throughout Japan as well, making a mark in the industry as a hard-nosed competitor that could compete in the ring with any wrestler in the world. While staking his name in the wrestling business throughout the late ’60s and early ’70s, Race began getting involved in the promoting aspect of the industry, something that he still does today as the founder of World League Wrestling, where he books live events in Missouri, Iowa, Kansas and Illinois. WLW even has a working contract with the popular Japanese wrestling promotion, NOAH. In addition to promoting, Race has also been training wrestlers to a degree of success. Former WWE tag-team champion Trevor Murdock started wrestling for Race’s WLW promotion in 1999. Race believes that Murdock’s involvement with the WWE will also open the door for some of his other talented wrestlers as well. “I think the chances of somebody going to the WWE are pretty good now that Trevor has broken the seal,” said Race. However, despite all of Race’s success in the wrestling industry, the reason behind the founding of WLW was more of a personal one, revealing just how true a man Race really is. This article was originally published in Feb. 2006.